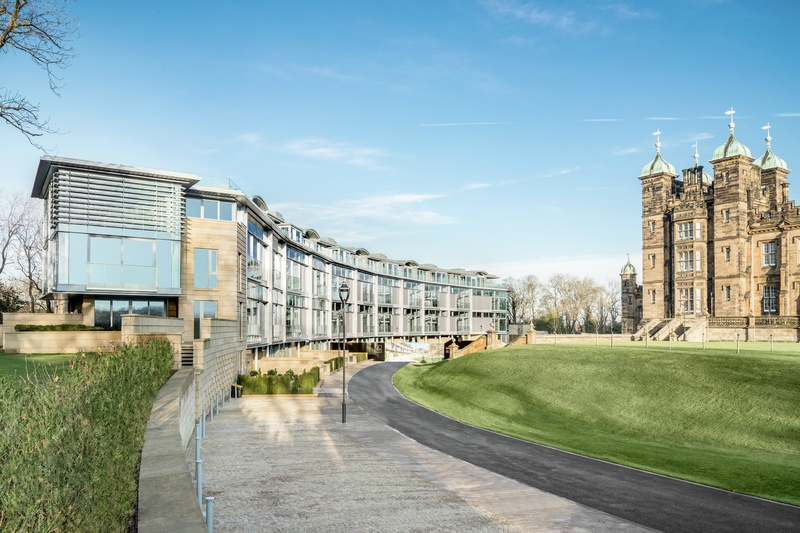 CALA Homes (East) said its Crescent at Donaldson’s, taking shape in the grounds of the iconic William Playfair-designed Donaldson’s College in Edinburgh, is a “bold and sweeping arc” of glass-fronted apartments. Work started on the development in July 2017, with BAM Construction securing a £30 million contract to deliver the main shell and core structure – with CALA’s own expert team carrying out the fit-out of the homes. CALA said the entire development, worth more than £90m, is among the most ambitious projects undertaken by the firm and will bring to life its vision for one of the most important sites in Scotland. As part of the launch, two show apartments will open their doors to the first appointments from January 19. 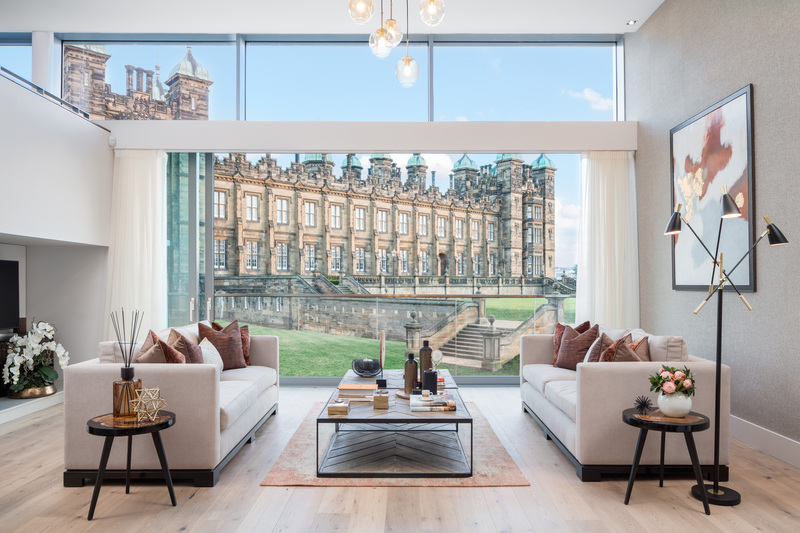 Situated within 18-acres of grounds that make up the largest new shared garden to be created in Edinburgh, CALA said the development it creates a feel of a secluded private estate just minutes from Haymarket station, and a mile from the heart of Princes Street. 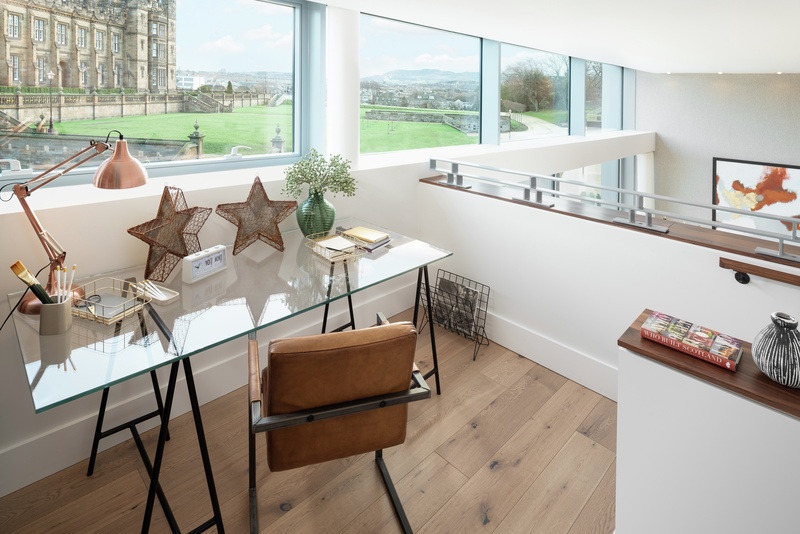 The design of the two show apartments has been inspired not only by the building itself but its outstanding surroundings, led by Alexander James Interiors.